Love is in the air! 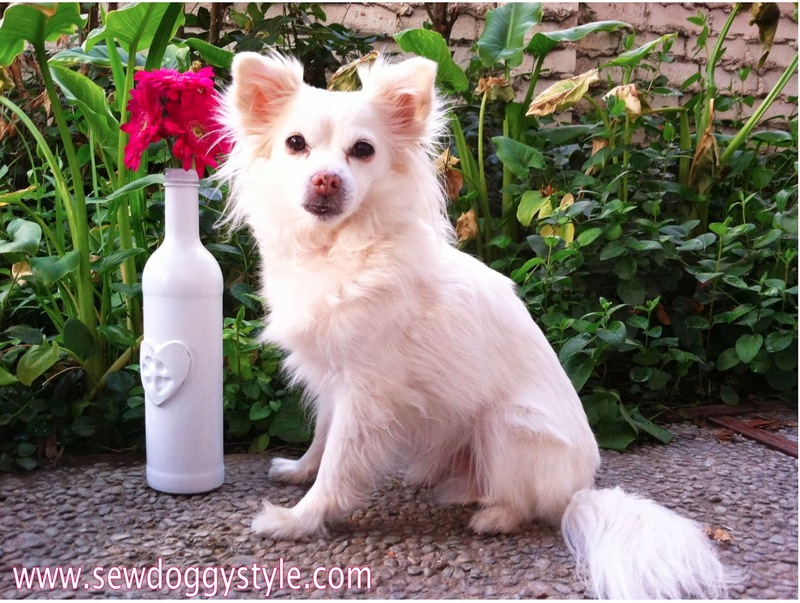 This cute little wine bottle is the sweetest keepsake and perfect for displaying flowers. 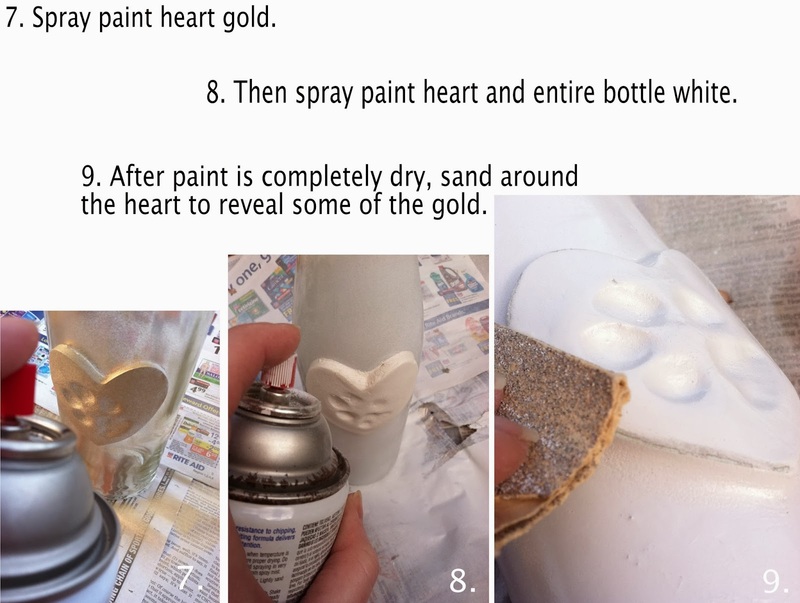 You'll need FIMO Air Light in white (clay that air dries), heart-shaped cookie cutter, wine bottle, strong glue, vinyl spackling, sand paper, gold spray paint, and white spray paint. This project is super fun and easy. 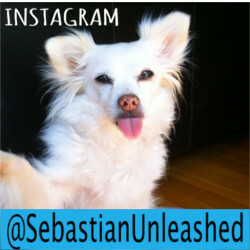 Sebastian says it's a "must do!" Also, we are so happy with the Fimo Air Light clay. It's soft and easy to work with. 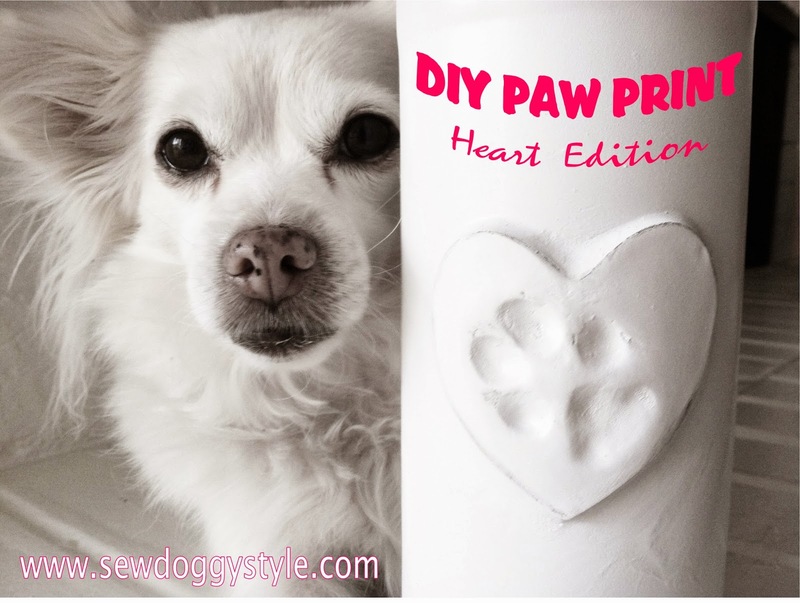 We highly recommend it for any DIY paw print project! 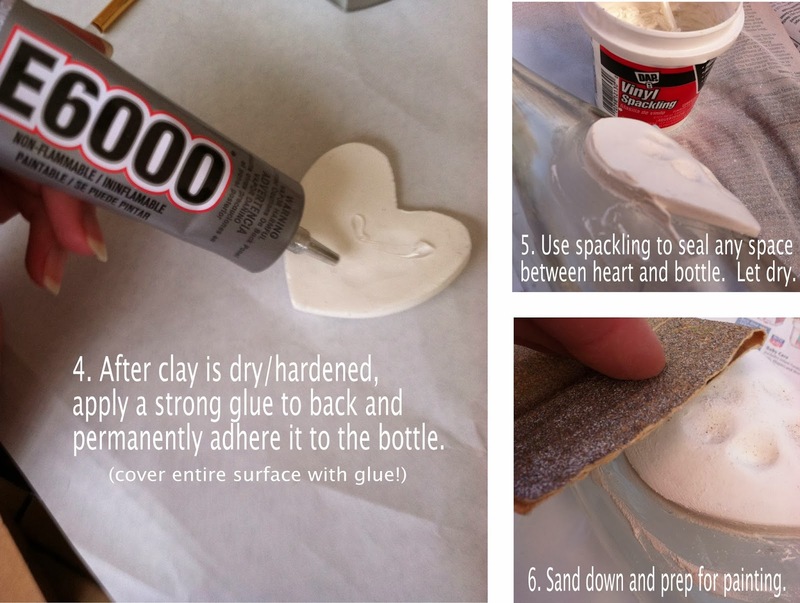 I love this idea and especially for Valentine's Day. I've been thinking lately about lasting mementos and this one is definitely going on the list. That is very cute and perfect for the holiday! That's a great Valentine's idea, and such a gorgeous model too! Thanks for the great idea! We will get started by drinking a bottle of wine (or two)! Absolutely love this idea! 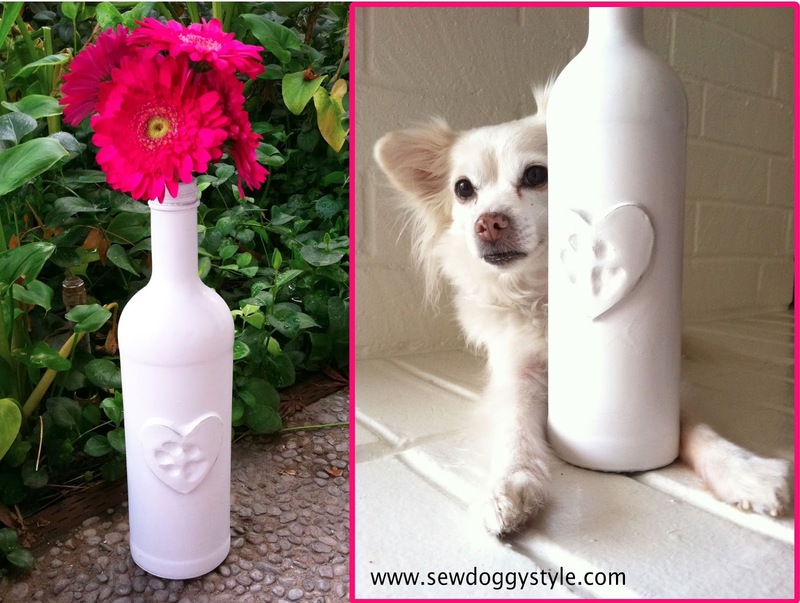 :D We made a paw print ornament for Christmas but I like that you've attached it to a decorative bottle. Chuy and I love this idea! Happy Valentine's Day! How creative! Very nice!! Happy Valentine's Day (a bit early) to you! Much love, The Scottie Mom. 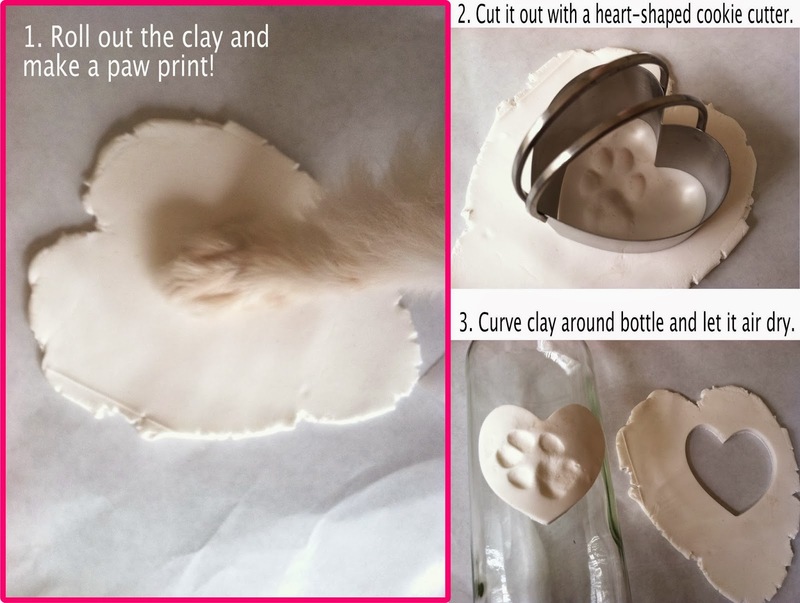 What a "pawsome" craft idea! 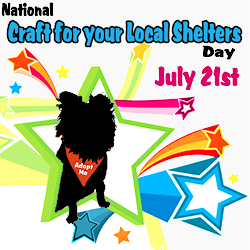 It's going on my Doggie Craft Pinterest board! Thanks for sharing! Cute! I did paw print Christmas ornaments, I like that you can display this one year round! That is So cute and clever and ingenious! Even an impatient paw can be cast can't it! Well done on a great post! These are actually impressive ideas in concerning blogging. You have touched some good points here.